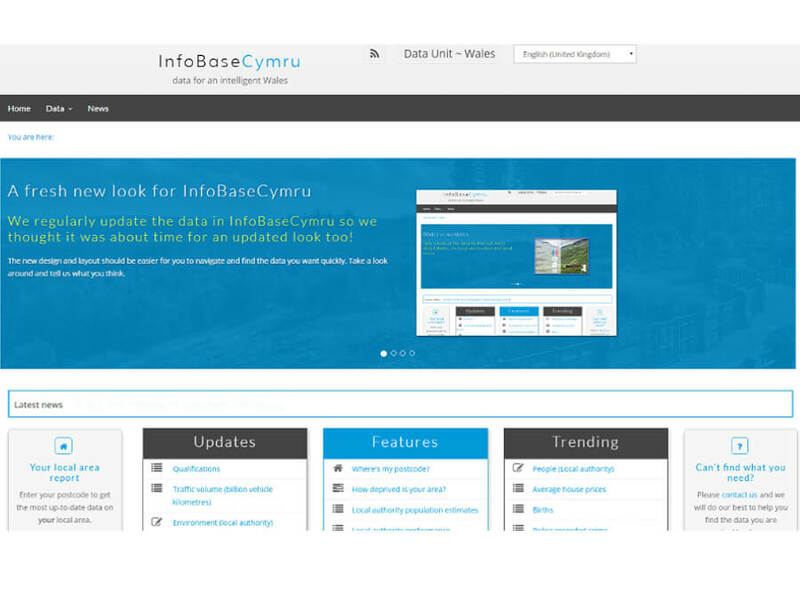 InfoBaseCymru provides easy access to a wide range of information for Wales. The information covers a range of themes including: people; economy; education; health; housing; environment; transport; and community safety. 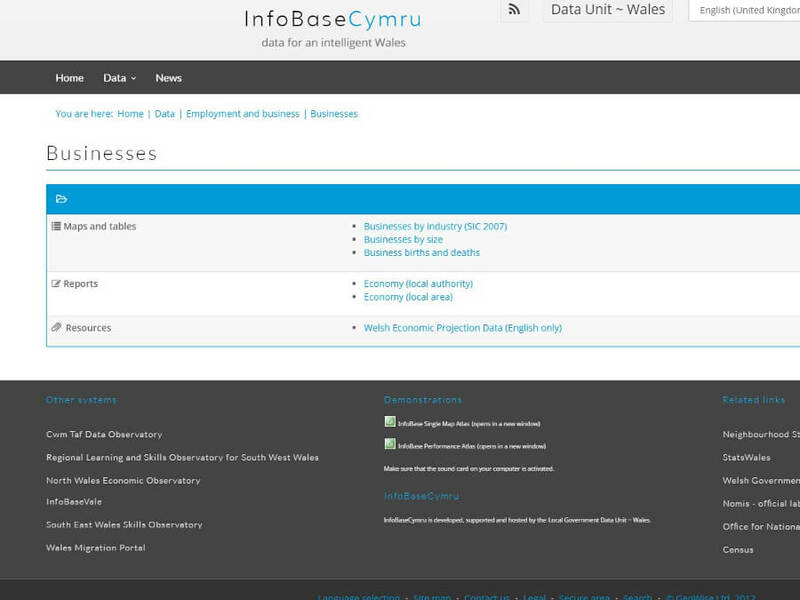 InfoBaseCymru holds and displays data about Wales from local authority level to a local area (lower super output area) level, as well as other regions appropriate for the data. 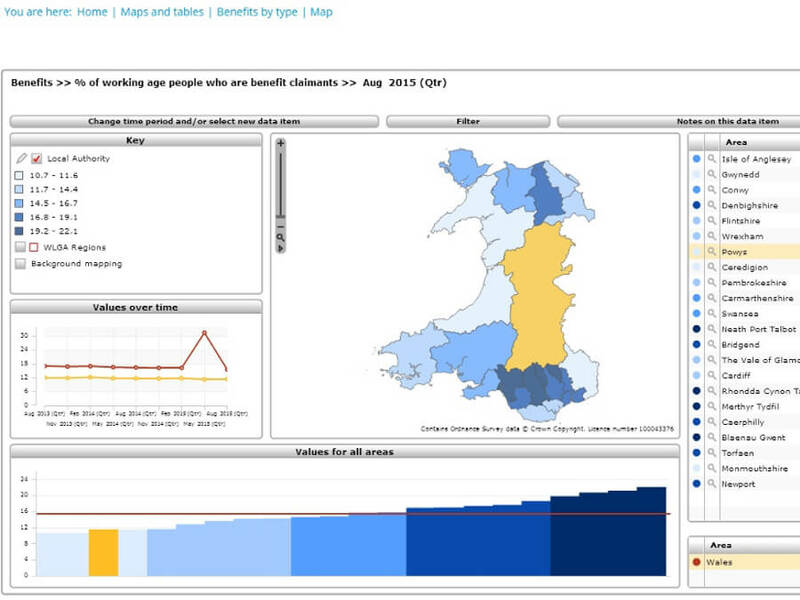 By sourcing data centrally, by managing data once regardless of how it will be used, and by presenting it in a range of ways designed to meet the needs of users, we can ensure that local authorities and other stakeholders have access to up-to-date, relevant data in the most effective and efficient ways. See for yourself!